Get the scoop on why this recipe makes the best gingerbread house icing. 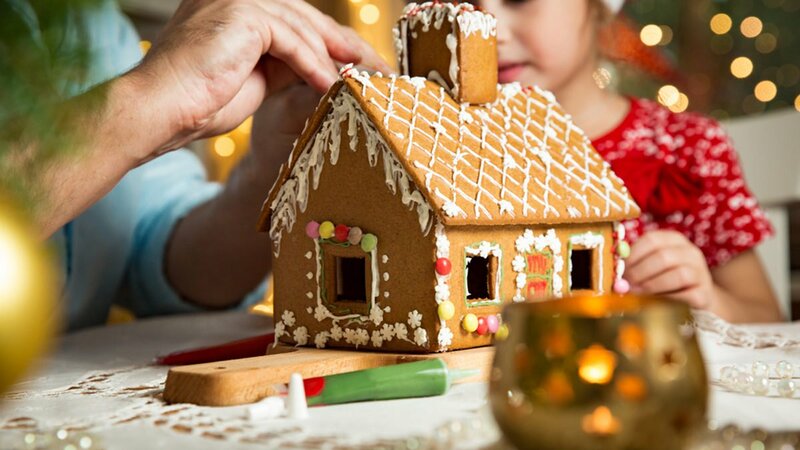 When it comes to holiday traditions, few are as architecturally complex and hands-on as building a gingerbread house. (Here is our guide for everything gingerbread!) Whether you use a kit or bake the gingerbread from scratch, one of the most important, if not the most important, elements is the icing. Set yourself up for success with the best gingerbread house icing, and you’ll have a masterpiece in no time. Get inspired with this collection of gingerbread houses. In a large bowl, beat confectioners’ sugar, water, meringue powder and cream of tartar with an electric mixer at low speed. Beat on high speed for 4-5 minutes or until mixture thickens. You’ll be looking for stiff peaks (check out our guide!) when you lift the beaters from the bowl. Transfer your icing to a pastry bag with your desired tip for icing. Storage Tip: Cover any excess icing with a damp paper cloth, and if necessary, beat the icing on high to restore its texture before adding to the piping bag. This icing recipe, also known as royal icing, makes a great mortar to hold your gingerbread house together. It’s also ideal for making sugar decorations. Historically, royal icing covered fruitcake to keep it moist. Fruitcake is traditionally the wedding cake of English royalty, giving the icing its name. As it dries, it hardens to a candy-like consistency, ensuring your house stays up until after the holidays. With this icing on hand, along with an array of other building materials, you’ll be ready to create a beautiful and festive centerpiece for your table or host your own gingerbread house decorating party. Happy building! Article by Alexa Hackfort for Taste of Home. View the original article here.